Pala International has been active in mining development since 1969, and is known for its work in the Pala mining district, in north San Diego County, California. The company is internationally famous for its many mining projects, specifically those involving tourmaline, an important precious stone. Pala’s tourmaline mines have become the cornerstone of other mining ventures. 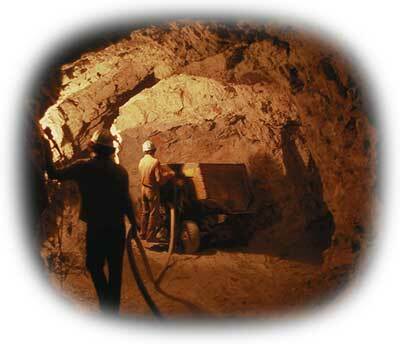 The first mine operated by Pala was the Stewart Lithia, located in Pala, California. Previously operated for its lithia content, a deposit of tourmaline was also discovered. In 1969, Pala Properties International (later renamed Pala International) opened the Stewart Lithia mine in search of the tourmaline-enriched zone. Underground workings continued with reasonable success, finding top-quality pink tourmaline. Other associated minerals such as quartz and spodumene were also discovered. Along with the Stewart mine, Pala International acquired the Tourmaline Queen and Pala Chief mines, both located in the Pala mining district. With success at the Stewart mine, the next project was the Tourmaline Queen. After connecting roadways were established between the two mines, work began in late 1971. Older workings were reopened and examined, providing information for the mine plan and new theories regarding the location of mineral-rich zones for study. A successful period followed, with approximately 1500 feet of underground workings developed in a little over three years. Among the many discoveries at the Tourmaline Queen, one stands out—the “Blue Cap Pocket,” which was later referred to as the find of the century by Dr. Vincent Manson, then-curator of the American Museum of Natural History. Although underground tunnel footage production is commonly looked at in “tonnage” or “footage” per day, mining top-quality mineral specimens and gem material is a completely different form of tunneling. The smallest fracture or imperfection can reduce the value of the product. Therefore, the technique used requires a pace set to eliminate any disturbance to the crystals, and footage becomes secondary to careful tunneling. Since the use of explosives is the primary cause of damage, a great deal of experience is needed in this type of mining, with smaller crews preferred over larger production methods. Pala’s safety record reflects its expertise in this type of mining, with the continuous awards (1989–1993) of the Certificate of Honor, Joseph A. Holmes Safety Association for no lost time/injuries. Between the years 1973–74, Pala International expanded its mining operations to include two full-time crews. This expansion allowed for the exploration of other areas in the district, as well as working on the Pala Chief mine, the San Pedro mine, and the Canyon Diggings mine. These mines presented a different challenge, in that most of the mining was surface work, with several hundred feet of tunnel developed. A joint venture mining project worked the Senpe, Anita, and Little Three mines with moderate success over the next five years. These successes were in addition to continuous mining in the Stewart and Tourmaline Queen mines. Also in 1973, another new project was started in the historic San Boléo area of Baja California, Mexico, near Santa Rosalia. This is a major copper mining district with hundreds of miles of underground tunnel, also known for rare mineral occurrences of boleite, cumengite, and pseudoboleite. Employing local miners under the supervision of John McLean, a decline of 575 feet was driven to intersect the older workings in the area, which was known at that time for its boleite mineral production. Approximately 1500 feet of new tunnel were put in. Production ended in late 1974. The Stewart mine then became the main focus for Pala International, with several hundred feet of underground workings completed between 1974–77. These newer workings encountered an unexpected water table, and hundreds of gallons of water had to be pumped out daily. In 1977, the lease of the Himalaya mine was acquired and work commenced in a new environment. Learning the nuances of each new mine requires time; however, after several months, tourmaline was found. Approximately 9,000 feet of tunnel were driven into hard rock. The rock of this mine was more dense than that of previous projects. 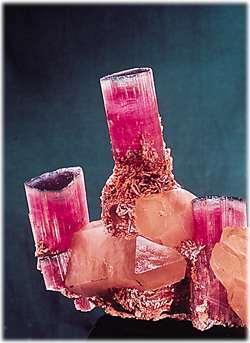 To meet the challenge, Pala International developed new techniques allowing safe removal of the tourmaline and other associated minerals. Pala actively mined the Himalaya until August 1998, and purchased the patented claims. 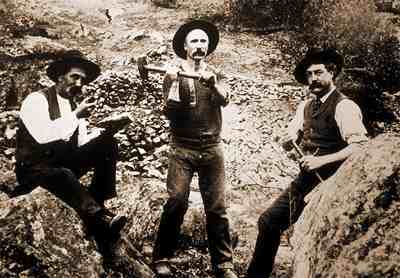 Mining for tourmaline at the Himalaya mine about the turn of the century. In the early 1980s, Pala International entered into a dredging project in Sri Lanka. A dredge was designed specifically for the purpose of recovering sapphire. Sri Lankan army helicopters were used for surveys. Cooperation with the local government was worked out and the first legal, foreign joint venture for sapphire began. Recovery of 9,000 grams of sapphire was accomplished in the first week of operation. Unfortunately, it was also to the last week of operation. The bloody Tamil war started and forced a halt to mining. Currently, Pala International offers no mine tours nor buckets of mine gravels. Our retail store in Fallbrook, The Collector (912 So. Live Oak Park Rd., Fallbrook, CA 92028; tel: 800-854-1598), has a reconstructed mine pocket that simulates the inside of a mine. It also has a fine selection of jewelry and mineral specimens from San Diego County. The Collector is open Mon.–Sat. 10:00 AM to 5:00 PM. Fallbrook also has a fine mineral museum, operated by the Fallbrook Gem and Mineral Society (tel: 760-723-1130). It is located at 123 W. Alvarado in Fallbrook and is open Thursdays and Fridays 11 a.m. to 3 p.m., some Saturdays and Sundays, and by appointment. Open to the public is the Oceanview Mine (tel: 760-489-1566), in the small town of Pala, San Diego County. Also in the town of Pala, Gems of Pala (tel: 760-742-1356) sells buckets of tailings from the historic Stewart Mine. However, they do not allow visitors to the mine itself.